This jumper wire can be used on any standard pin header. 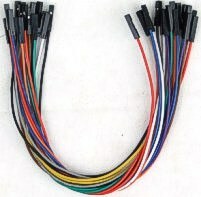 The package includs 20 jumper wires in different colors. It can be used on programmer adapter, Development board and all other testing circuit.